The Ministry of Culture in collaboration with the foundation ‘FEMI’ de Jaba has officially launched this 31 January the “Encyclopedia” of Burundian music. It will allow musicians and Burundian music to be known in the world. 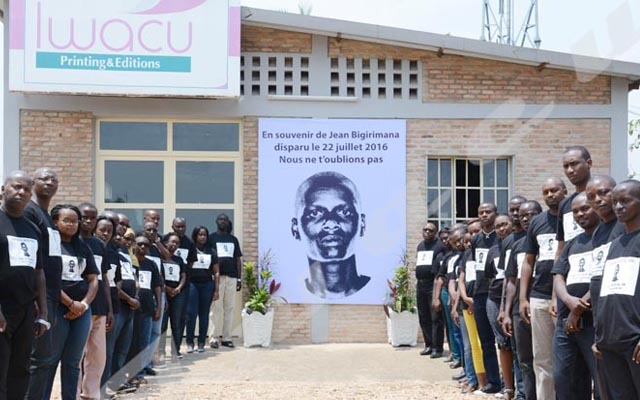 “The encyclopedia of Burundi music will compile the biographies of all Burundian musicians, whether they are still alive or dead, musicians living in Burundian or elsewhere,” said Félicien Minani, the legal representative of FEMI de Jaba Foundation which aims to promote Burundian music. Minani finds it necessary to write the history of Burundian music. “We often sing songs but still don’t know who sang them,” he says. According to Minani, this encyclopedia will allow musicians and Burundian music to be known in the world. “Researchers who want to learn about Burundian music will use it,” he says. He also says the financial means needed to have this encyclopedia of Burundian music is not yet available arguing that it is a job that requires a lot of money.”We want to write the biographies of all musicians without exception. It requires a mint…” says Minani. Minani says all Burundians with talent to sing and who have demonstrated it, will be published in that encyclopedia. “We are going to set up a commission that will be responsible for analyzing the musicians and music that will be put out in this book,” he says, adding that film actors and traditional drummers and singers will not be excluded. According to Minani, the Burundian music encyclopedia will be written in Kirundi and later be translated into other languages . The association of Burundian musicians, ‘Amicale des musiciens Burundais’ has inventoried the Burundian musicians over the past few years. Most of the musicians did not appreciate the published book. “The list of musicians is not exhaustive,” says a Burundian musician.